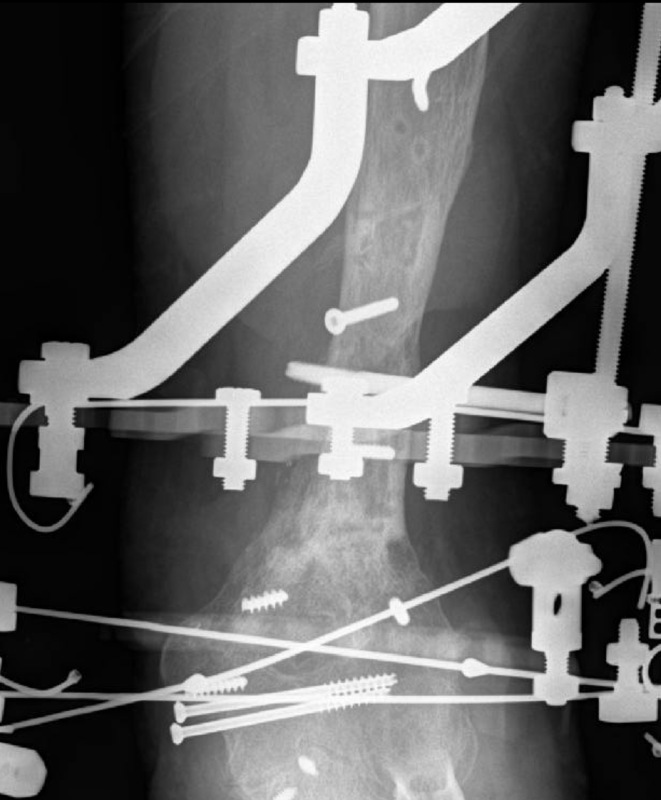 X-rays of a 33 year old man with an infected distal humeral nonunion 35 months after an open fracture that was initially treated at an outside facility by other physicians using plates and screws. 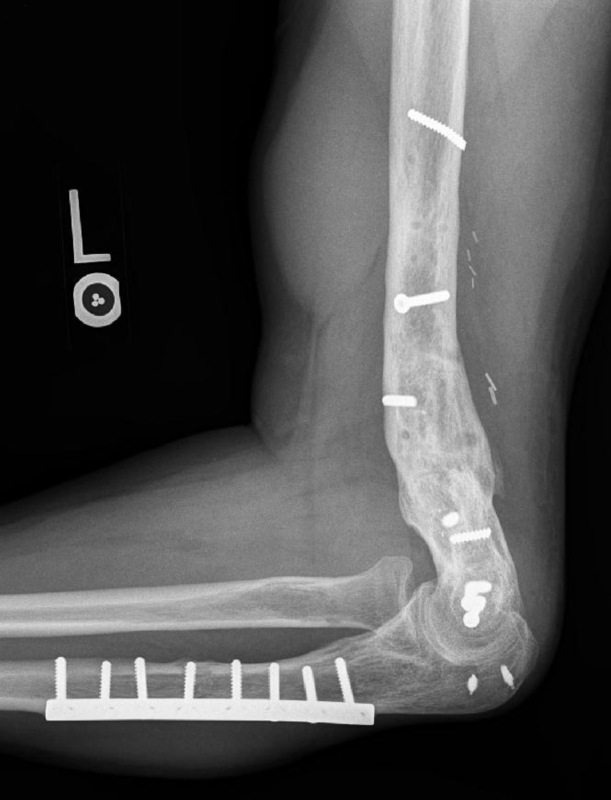 The patient had undergone two surgeries before being referred to us and had very limited elbow motion, severe pain, and moderate disability. 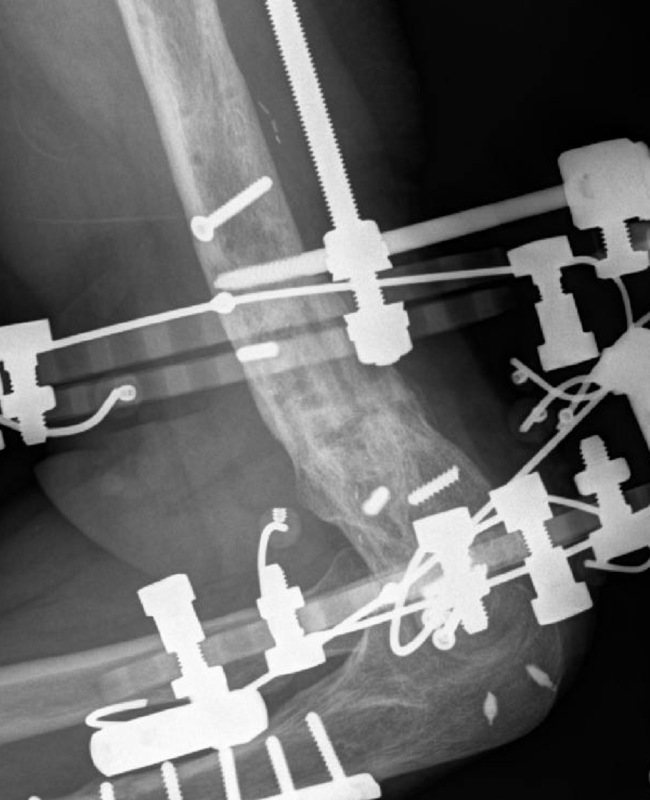 These x-rays during Ilizarov treatment show compression at the nonunion site. 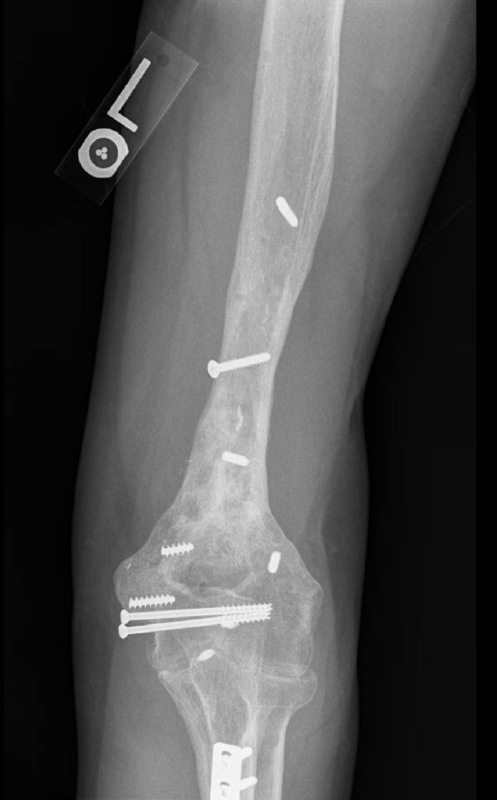 Compression of the fragments often stimulates the bone to heal. 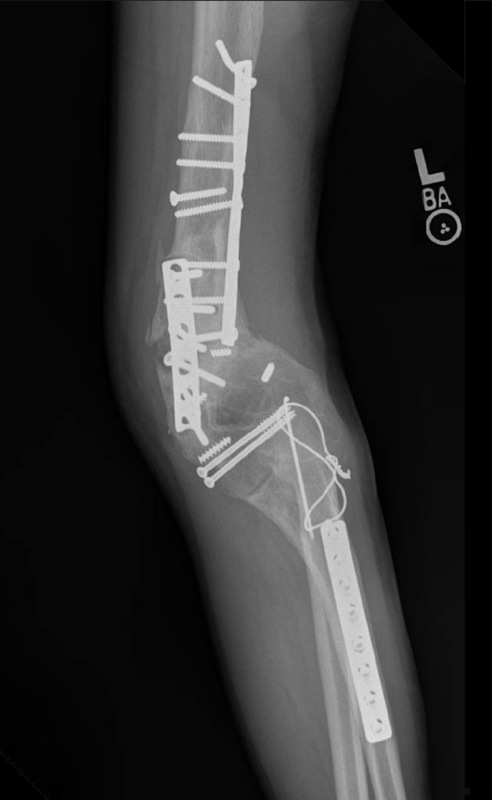 The final x-rays after Ilizarov external fixation show solid healing of the bone. 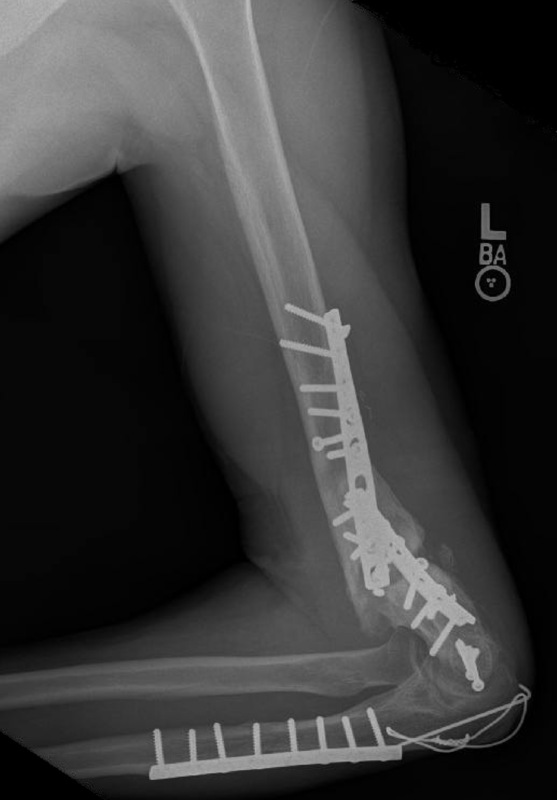 The patient had good motion, no evidence of infection, only occasional minor aches, and dramatically improved function.